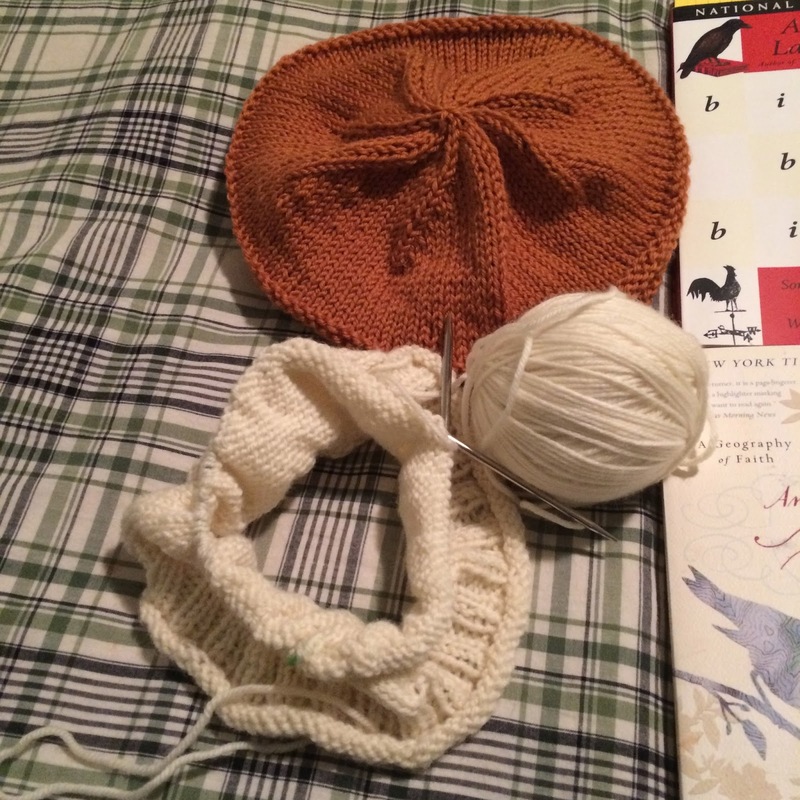 I haven't been present in the Yarn Along for a while and I have missed it so much. I love visiting with Ginny and all of the wonderful knitters/readers who share some much inspiration. Since blogging has been one of my aims for this Advent season, I thought I might try to add in my Yarn Along post as well and even try to visit other people's posts, too! This fall, my reading has been all over the place. I have had six or seven books on the go at once and I have bounced from book to book like a basketball. It's great for my interests but it's terrible for actually finishing anything. First of all, in terms of fiction, I have been reading The Small Rain by Madeleine L'Engle. She is one of my favourite authors and I have loved her work since I was in my teens. I have made it my goal to start buying her adult novels and to read through and collect. So far, this book has not disappointed! It's definitely a book of a time and place and clearly has several elements of L'Engle's own life. In terms of faith, I have been meandering through An Altar in the World by Barbara Brown Taylor. I think I can be forgiven for taking this one slowly. In it, she outlines different spiritual practices that can bring you closer to God. Rather than read it through all at once, I read a chapter or two a week and see what it has that I can bring to my daily life. I find her so readable and this book has been really inspiring. My latest non-fiction read is not exactly a light read and has been pretty challenging to me at times, The New Jim Crow by Michelle Alexander. I am not altogether sure how to understand some of the long term issues of crime and poverty and the relationship to the justice system for certain groups. This exploration of race and the American justice system has been challenging but has also laid out the number of challenges faced by certain minorities in the U.S. I don't know how families cope or how, as a mother, you could stay sane sending your child out into that world. Finally, a friend lent me Bird by Bird by Anne Lamott. I have been hearing so much about her from other people with similar tastes to mine. While I am not really a writer, there is something about her style that is really speaking to me. My knitting has been fairly boring of late because I am in hard-core Christmas mode. The orange hat came after I had to make my son several hats - he had lost all of his and I needed several to have ready as we ran out to the school bus each morning. After I finished his, I read about the 25 000 toques project in which someone is organizing to ask knitters to knit a hat for each of the 25 000 Syrian refugees who will be coming to Canada in the next several months. Each volunteer knitter is asked to write a letter of welcome to Canada to be given with the hat. I LOVED the idea and couldn't wait to get started. Now, I just have to get myself motivated to actually mail it. My dad saw my son's hat and wanted one, too and he wanted one in "that aran wool you use" so cross your fingers for me that I can be disciplined and get it done for his birthday next week. It's a quick pattern but my knitting happens in such fits and starts these days. good luck with your dad's hat! 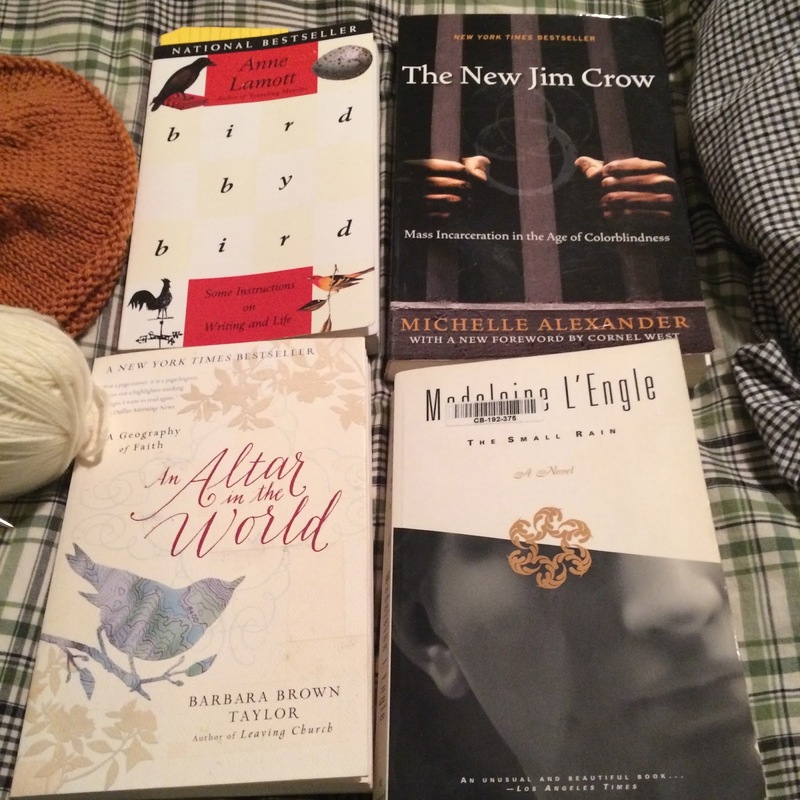 I just knit my first hat last week so I love reading about other peoples hats. what an amazing idea to knit warm hats for the refugees. I love that.